As a classic book begins, “It was the best of times, it was the worst of times.” So describes the state of the transgender community as we celebrate the 10th Annual International Transgender Day of Visibility. We come together every year on March 31 to celebrate stepping out of the shadows and being visible and viable members of society. This year has never been more the case, as the transgender community has been visible on a national scale like never before. Sparked by a fractured national dialogue, an administration determined to erase us and daily incidents of alarming violence and overt discrimination; the transgender community has never been more visible or engaged. The transgender discussion spans the globe from the classroom to the White House. Never has there been more awareness of what it means to be transgender, and never has there been more misunderstanding of what it means to be transgender. In this national spotlight, our visibility matters. Our personal stories matter. Diverse gender voices matter. As we celebrate this year’s International Transgender Day of Visibility, let’s remember our visibility creates change. The humanity of personally knowing an out transgender person changes hearts and minds in these challenging times. More young people than ever are declaring their true gender identity, despite bullying, harassment and alienation from family and friends. Ninety percent of school-age transgender youth report being harassed at some point due to their gender expression. Yet, with each passing year, we see more transgender and nonbinary people coming out at younger ages, and we see parents supporting their children and fighting for their rights and protections. Our visibility is our strength, and only through our visibility will we achieve the ultimate goal of living our truth, of living an authentic life and being treated equally under the law. When others collude to erase us, our visibility propels us onward. Locked arm in arm, we march forward despite the crosshairs of discrimination that remain firmly aimed at our advance. As a comrade falls, we close ranks and continue the march forward. Armed by the right to be our out, authentic selves, we march forward. Emboldened by visible advocates who have succeeded before us, we march forward. Engaged in hand-to-hand combat with the haters determined to bathroom shame us into extinction, we visibly march forward. So, as we do each year, let us celebrate those who choose to be visible advocates and allies of the transgender movement. We celebrate the brave souls emerging from the darkness as their authentic selves to educate, to advocate, to inspire and to lead. We remind each other that the journey is worth the risk and the goal is worth the struggle. We remind each other that the battle won, to be our true and authentic selves, is worth the fight. We all pray that someday being transgender will have no more significance than being left-handed or having blue eyes because, after all, that is the way we were born. We simply want the world to see us as we see ourselves. 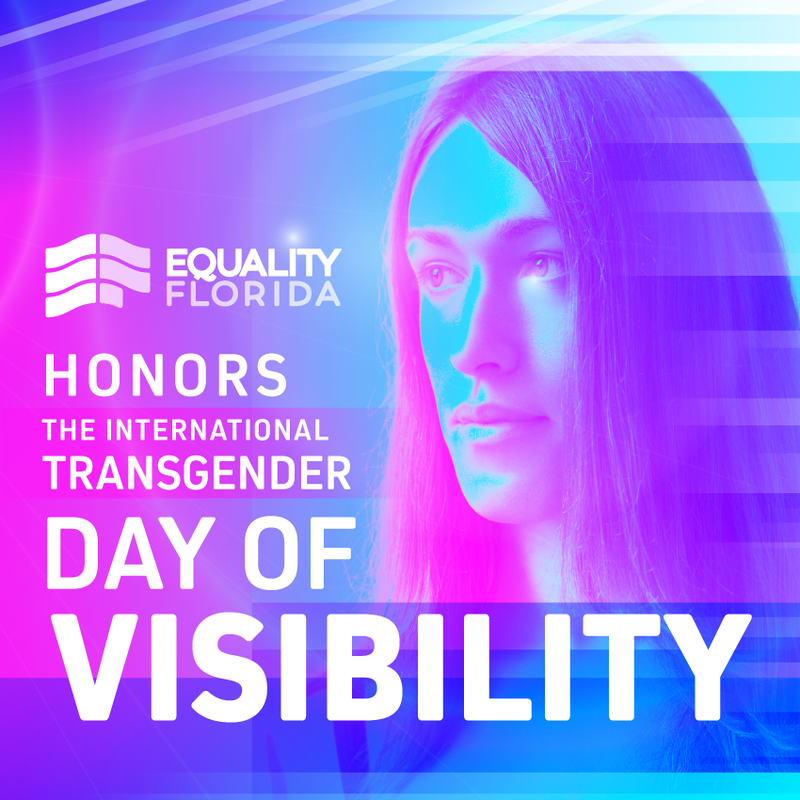 Join us in celebrating the 2019 International Transgender Day of Visibility. Together we will make the difference we all desire – to be treated equally under the law, to love whomever we choose to love and to be our authentic selves without reservation or pause.